* BLUE TOOTH, * ALLOY WHEELS, * KEYLESS ENTRY, CARFAX-1 OWNER, POWER WINDOWS/POWER LOCK. 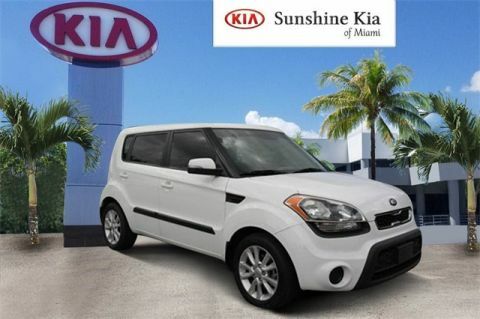 Awards: * 2013 IIHS Top Safety Pick * 2013 KBB.com 10 Coolest New Cars Under $18,000 KBB Fair Market Range Low: $8,954 FWD Soul 2013 2013 Kia Soul Plus 6-Speed Automatic Plus Kia 2.0L 4-Cylinder MPI DOHC Clear White 4D Hatchback Priced below KBB Fair Purchase Price! Reviews: * Loads of available features; user-friendly controls; ample passenger space; funky style; low price; long warranty. Source: Edmunds INTERNET SPECIAL PRICE EXCLUDES TAX, TITLE, TAGS, DMV, DEALER FEE. SEE DEALER FOR DETAILS. Odometer is 13042 miles below market average! KBB Fair Market Range Low: $11,662 Clean CARFAX. 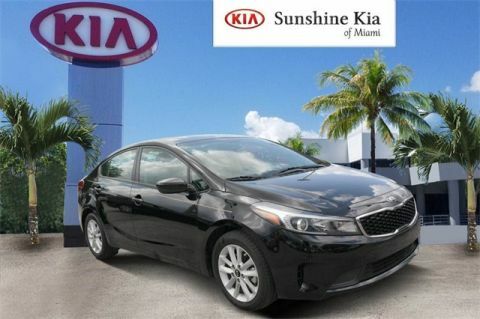 26/39 City/Highway MPG FWD Forte 2016 2016 Kia Forte LX 6-Speed Automatic LX Kia 26/39 City/Highway MPG 1.8L I4 DOHC Dual CVVT Aurora Black 4D Sedan Priced below KBB Fair Purchase Price! Reviews: * Spacious interior for both sedan and coupe; numerous standard and optional features are available; quick acceleration from Forte EX and SX; dashboard and infotainment controls are easy to use; warranty coverage is better than most in the segment. Source: Edmunds INTERNET SPECIAL PRICE EXCLUDES TAX, TITLE, TAGS, DMV, DEALER FEE. SEE DEALER FOR DETAILS. * BLUE TOOTH, * BACKUP CAMERA, * ALLOY WHEELS, * KEYLESS ENTRY, CLEAN CARFAX, CARFAX-1 OWNER, POWER WINDOWS/POWER LOCK. Awards: * 2017 KBB.com 10 Most Awarded Brands KBB Fair Market Range Low: $11,487 CARFAX One-Owner. Clean CARFAX. 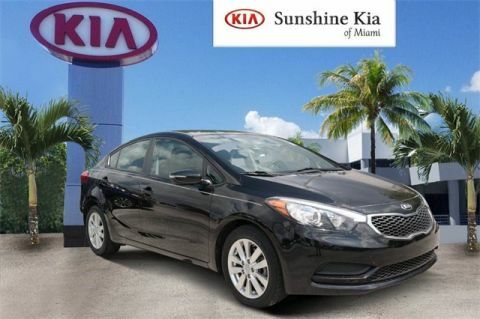 29/38 City/Highway MPG FWD Forte 2017 2017 Kia Forte S 6-Speed Automatic S Kia 29/38 City/Highway MPG 2.0L I4 DOHC Dual CVVT Aurora Black 4D Sedan Priced below KBB Fair Purchase Price! INTERNET SPECIAL PRICE EXCLUDES TAX, TITLE, TAGS, DMV, DEALER FEE. SEE DEALER FOR DETAILS. black Cloth. Odometer is 34971 miles below market average! KBB Fair Market Range Low: $15,758 CARFAX One-Owner. Clean CARFAX. 25/36 City/Highway MPG FWD Optima 2018 2018 Kia Optima LX 6-Speed Automatic with Sportmatic LX Kia 25/36 City/Highway MPG 2.4L I4 DGI DOHC Sangria 4D Sedan Priced below KBB Fair Purchase Price! INTERNET SPECIAL PRICE EXCLUDES TAX, TITLE, TAGS, DMV, DEALER FEE. SEE DEALER FOR DETAILS. * KIA CERTIFIED, * BLUE TOOTH, * BACKUP CAMERA, * ALLOY WHEELS, * PUSH START, * KEYLESS ENTRY, CLEAN CARFAX, CARFAX-1 OWNER, POWER WINDOWS/POWER LOCK, SMART KEY, 1.6L I4. Awards: * 2017 KBB.com 10 Best Hybrid Cars Under $40,000 * 2017 KBB.com 10 Most Awarded Brands Odometer is 5933 miles below market average! KBB Fair Market Range Low: $14,966 CARFAX One-Owner. Clean CARFAX. 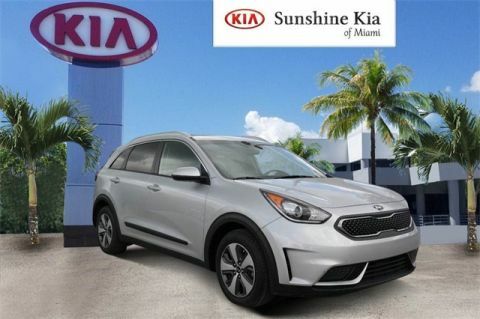 51/46 City/Highway MPG FWD Niro 2017 2017 Kia Niro LX Dual Clutch 6-Speed Automatic LX Kia 51/46 City/Highway MPG 1.6L I4 Silky Silver 4D Sport Utility Priced below KBB Fair Purchase Price! INTERNET SPECIAL PRICE EXCLUDES TAX, TITLE, TAGS, DMV, DEALER FEE. SEE DEALER FOR DETAILS. Awards: * 2017 KBB.com 10 Most Awarded Brands Odometer is 6003 miles below market average! KBB Fair Market Range Low: $17,209 CARFAX One-Owner. Clean CARFAX. 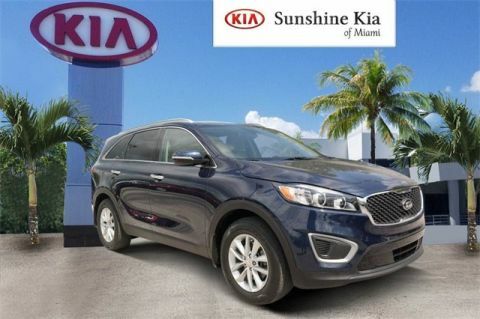 21/28 City/Highway MPG FWD Sorento 2017 2017 Kia Sorento LX 6-Speed Automatic with Sportmatic LX Kia 21/28 City/Highway MPG 2.4L DOHC Blue 4D Sport Utility Priced below KBB Fair Purchase Price! INTERNET SPECIAL PRICE EXCLUDES TAX, TITLE, TAGS, DMV, DEALER FEE. SEE DEALER FOR DETAILS. Odometer is 4777 miles below market average! KBB Fair Market Range Low: $21,914 CARFAX One-Owner. FWD Sedona 2018 2018 Kia Sedona LX 6-Speed Automatic with Sportmatic LX Kia 18/24 City/Highway MPG 3.3L V6 DGI Platinum Graphite 4D Passenger Van Priced below KBB Fair Purchase Price! INTERNET SPECIAL PRICE EXCLUDES TAX, TITLE, TAGS, DMV, DEALER FEE. SEE DEALER FOR DETAILS. CARFAX One-Owner. Clean CARFAX. 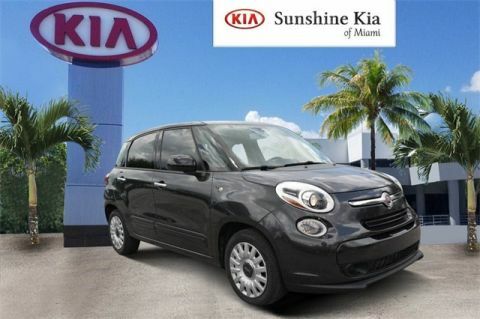 24/33 City/Highway MPG FWD 500L 2015 2015 Fiat 500L Pop 6 Speed C635 Manual Pop Fiat 24/33 City/Highway MPG 1.4L I4 16V MultiAir Turbocharged Gray Metallic 4D Hatchback Reviews: * Big-car passenger and cargo space; good outward visibility; lots of European personality inside and out; available touchscreen is easy to use. Source: Edmunds * With the introduction of the 500L, Fiat has given fans of their unique urban cars a larger option to enjoy. 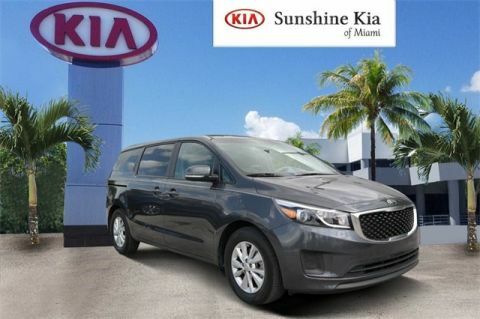 With four passenger doors, this vehicle can seat five in style. Plus, with its large liftgate in back, and split folding rear seats, all models have been built with room for your cargo if you need it. It is offered in four models: Pop, Easy, Trekking and Lounge. Each model comes with a 1.4-liter, 4-cylinder, Turbo Engine with 160 horsepower. Despite being peppy, all trims get an impressive EPA estimated 25 MPG City and 33 MPG Highway, with the exception of the Lounge which comes close with 24 MPG City and 33 MPG Highway. Once inside, you’ll notice the striking modern interior and surprisingly spacious head and legroom. For technology enthusiasts, all models come standard with Uconnect 5.0. It uses Bluetooth for making hands-free calls when connected to a compatible mobile phone, and lets you use Voice Commands for radio functions. It also includes a 5-inch touchscreen, AM FM radio, audio jack, USB port, and you can insert an SD Card for your Music. On top of that, you also get the convenience of audio controls located on the steering wheel. Fiat has considered passenger safety as well. 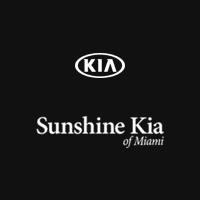 All models come standard with 4-Wheel Anti-Lock Brakes, Stability Control, seven Airbags, Hill Start Assist, and LATCH anchors for your after-market child seats. In addition, if you forget to check your tire pressure, the 500L takes care of that for you. An overhead display will inform you about low pressure on any of your four tires. For added peace of mind it comes with a security alarm as well. Source: The Manufacturer Summary INTERNET SPECIAL PRICE EXCLUDES TAX, TITLE, TAGS, DMV, DEALER FEE. SEE DEALER FOR DETAILS. * LEATHER, * BLUE TOOTH, * HEATED SEATS, * ALLOY WHEELS, * PUSH START, * KEYLESS ENTRY, CLEAN CARFAX, CARFAX-1 OWNER, POWER WINDOWS/POWER LOCK, PANORAMIC SUNROOF, SMART KEY, 8-Speed Automatic. CARFAX One-Owner. Clean CARFAX. 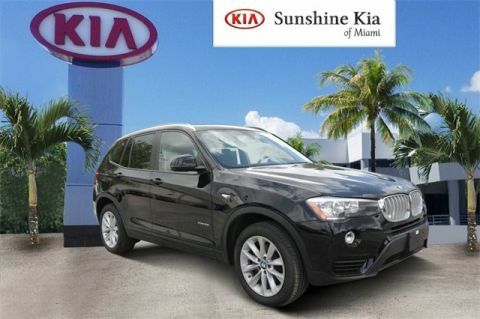 21/28 City/Highway MPG AWD X3 2017 2017 BMW X3 xDrive28i 8-Speed Automatic xDrive28i BMW 21/28 City/Highway MPG 2.0L I4 TwinPower Turbo Black 4D Sport Utility Reviews: * Strong performance and fuel economy from any of its available engines; high-quality cabin feels luxurious; generous passenger and cargo room for the segment; responsive handling bettered only by pricier sport-tuned rivals; top-notch crash-test scores. Source: Edmunds * Exceptionally powerful engine and an optional package that makes even more power; slick dual-clutch automatic transmission with quick shifts; richly trimmed and well-equipped interior; impressively supportive and comfortable front seats. Source: Edmunds * Distinctive styling for a sedan of its size; excellent performance with either engine option; modern interior design trimmed with excellent materials; newly updated tech interface is easier to use. Source: Edmunds INTERNET SPECIAL PRICE EXCLUDES TAX, TITLE, TAGS, DMV, DEALER FEE. SEE DEALER FOR DETAILS. * LEATHER, * BLUE TOOTH, * BACKUP CAMERA, * HEATED SEATS, * ALLOY WHEELS, * PUSH START, * KEYLESS ENTRY, CLEAN CARFAX, CARFAX-1 OWNER, POWER WINDOWS/POWER LOCK, PANORAMIC SUNROOF, Auto-Dimming Interior & Exterior Mirrors, Auto-Dimming Rear-View Mirror, Comfort Access Keyless Entry, Convenience Package, Lumbar Support, Panoramic Moonroof, Power-Folding Mirrors, SiriusXM Satellite Radio, Universal Garage-Door Opener. KBB Fair Market Range Low: $30,821 CARFAX One-Owner. Clean CARFAX. 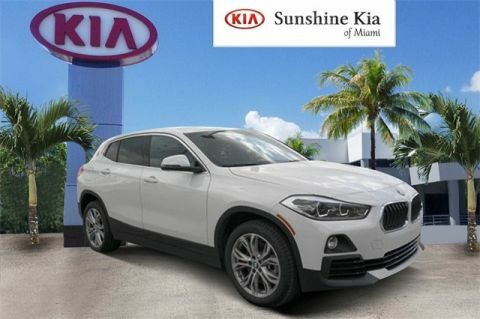 23/32 City/Highway MPG FWD X2 2018 2018 BMW X2 sDrive28i 8-Speed Automatic sDrive28i BMW 23/32 City/Highway MPG 2.0L 4-Cylinder DOHC 16V TwinPower Turbo White 4D Sport Utility Priced below KBB Fair Purchase Price! INTERNET SPECIAL PRICE EXCLUDES TAX, TITLE, TAGS, DMV, DEALER FEE. SEE DEALER FOR DETAILS.